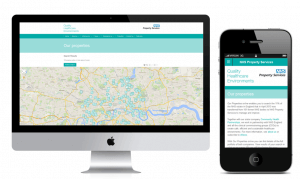 A responsive website has just been launched for the NHS Property Services which enables you to search the 11% of the NHS estate in England. The website allows users to browse the website on any device and have the same functionality. Users are able to search either by location, property name or area. When users search by location they can type in a postcode or location and then search by a mile radius. To view the website go to our.property.nhs.uk.